Newberry Online is the flexible, fast-paced, affordable way to get the credentials you need to add momentum to your career. Our transfer-friendly credit evaluation process gives you maximum credit for previously taken coursework. Even better, our life experience credit allowance recognizes the knowledge you’ve already gained in the workforce, getting you that much closer to your goals after graduation. You get the same high quality academic experience as our traditional face-to-face programs with courses taught by our full-time professors as well as adjunct faculty with years of relevant work experience in your field of study. 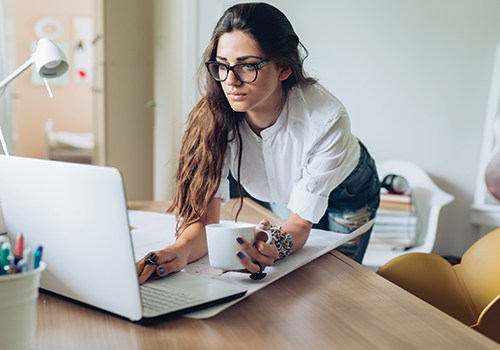 If your busy life is getting in the way of pursuing a traditional degree program, Newberry Online can get you back on track to complete your education goals. Enhance your credentials and advance your career with a Bachelor of Science in Nursing from Newberry Online. Courses for this program are 100% online, so you can pursue your degree and still manage your busy life. With our fast-paced program, you can complete your program in as little as 12 months! 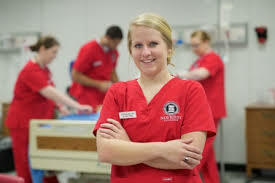 The RN to BSN degree-completion program is designed for working RNs with an associate’s degree or a diploma in nursing who want to complete their BSN degree with Newberry College. Newberry Online courses are offered over 7.5 week terms with five subterms for the year. Students can take a maximum of 15 credits per trimester (two subterms). You will work with your program advisor to review your transcripts from other institutions and complete your transfer credit evaluation. Download the Degree Completion Roadmap to ensure you have the correct distribution of courses. You can use this worksheet to record previously completed courses for which we’ve granted credit and plan the remainder of your course requirements with your advisor. Transcript fees (transferring schools) – Varies by institution; typically $20 - $30 per school. Applying for admission in two easy steps! Complete the Online Programs application for admission. Send official transcripts from all academic institutions. If you are admitted to the program we’ll conduct a free credit evaluation and provide you with a Degree Completion Roadmap so you’ll know exactly where you stand now and what comes next. Our admission counselors are ready to answer questions and walk you through the application process. Jenny Lindler's professional goal has always been to become a nurse educator who empowers students to become the best nurse they can be, contribute to nursing research and help in shaping the future of nursing. Dwaine Thomas received her Bachelor of Science degree in Nursing from the University of South Carolina-Columbia, and her Master of Science in Nursing from Walden University with a focus on Nursing Education. Get the credentials you need to advance your career. The Bachelor of Science in Respiratory Therapy seeks to provide students with educational development in a variety of topics relevant to the professional, including patient education, ethics, disease management, nutrition, critical care monitoring, community health challenges and emergency preparedness. The Bachelor of Science in Respiratory Therapy is an online degree-completion program designed for licensed respiratory therapists seeking to earn their baccalaureate degree from Newberry College. Newberry Online courses are 7.5 weeks per subterm. Students can take a maximum of 15 credits per term (two subterms). This course considers ethical theories and leadership applicable to the respiratory care practitioner using scholarly inquiry including case studies. Students will analyze ethical dilemmas in acute and chronic care. Students will discuss ethical and legal circumstances across the life span in diverse socioeconomic and cultural circumstances. Students will conduct a review of various leadership models and the application of the perspectives in respiratory care. This course will review the basic processes of education. Topics will include learning styles, developing objectives, teaching methods, questioning and problem-solving methods, characteristics and roles of the clinical instructor and the use of appropriate evaluation instruments. This course takes a disease management approach to patient care with an emphasis on the role of pharmacology in disease management. Content advances a basic understanding of the concepts and principles of pharmacology used in the treatment of the cardiopulmonary patient. This course will provide instruction of airway management to include artificial airways, intubation, and specialty gases. A study of advanced cardiopulmonary monitoring used in critical care. Emphasis will be placed on hemodynamic monitoring, ECG interpretation, mechanical ventilation waveform graphic analysis, diagnostics lab values, imagining and capnography. A review of the nutritional needs, fluids and electrolyte balances of the cardiopulmonary patient. Emphasis will be placed on the nutritional components associated with various pathophysiological states associated with acute and chronic needs. This course will discuss methods of emergency preparedness including public outreach and education as well as the development of emergency operational plans as they apply to the cardiopulmonary patient. An in-depth review of adult disease processes affecting the body. Particular attention will be placed on the correlation of disease processes and the infectious processes as they affect the respiratory system. This course focuses on determinants of health of individuals and the challenges faced by communities as they work to improve the health of their residents. The student will develop plans to maximize the use of community resources to address both acute and chronic respiratory conditions. This course will present disease states and the management strategies associated. Students will review and analyzed effectiveness of therapist driven protocols. Utilizing assessment outcomes, students will develop protocols applicable to the disease process. Experience within a chosen area of focus area (pediatric care, neonatal, adult critical care, trauma, management, or education). This course is the culmination of the BSRT program. The successful capstone project is vested in a research effort that demonstrates a thorough knowledge of a tactic within the focus area. The intent is documented expansion of the body of knowledge within respiratory care. The Bachelor of Science in Respiratory Therapy program will provide students with additional knowledge, skills and attributes in leadership, management, education, research or advanced practice to meet their current professional goals and prepare them for practice as advanced degree respiratory therapists. Articulate current professional and clinical roles, reviewing the history and changes in technology and knowledge base and future anticipated advancements. Demonstrate knowledge in critical care pathophysiology to interpret pertinent clinical information and make recommendations for appropriate therapeutic interventions. Demonstrate effective written and oral communication skills. Demonstrate the ability to access, critically assess and interpret literature related to clinical practice, administration, education and/or research. Demonstrate the ability to solve complex clinical situations as part of an inter-professional team, considering all viewpoints while remaining focused on patient-centered care. Develop the research skills related to clinical practice, administration, education and general industry for a successful career in respiratory therapy. Complete the Online Programs application for admission. Request a free credit evaluation by sending official transcripts from all academic institutions we will be considering for transfer credit. If you are accepted for admission, we’ll provide a free credit evaluation and Degree Completion Roadmap so you’ll know exactly where you stand now and what comes next. Work with your program advisor to review your transfer credit evaluation, using the Program Completion Roadmap to ensure you have the correct distribution of courses. You can record previously completed courses for which we’ve granted credit and plan the remainder of your course requirements. Transcript fees (transferring schools) – Varies by institution, typically $20 - $30 per school. Apply for admission in two easy steps! We're here to help! Our admission counselors are happy to answer questions and discuss financial aid and payment options. Call 1.800.845.4955 or email admission@newberry.edu. Get the credentials you need to advance your career. The Bachelor of Arts in Psychology degree helps equip you with the skills you need to progress to graduate school or pursue a career in a variety of fields. Get the credentials you need to take your career in an exciting new direction. The Bachelor of Arts in Psychology is an online degree-completion program designed for students who are transferring at least 45 credits to Newberry College to complete their undergraduate degree. Because an associate of arts degree will fulfill all but the religion course for the Newberry Online Liberal Arts Core, students should consider completing their two-year degree before transferring into the Newberry online degree-completion program. Newberry Online courses are 7.5 weeks per subterm with two subterms per trimester. Students can take a maximum of 15 credits per term (two subterms). * Online Liberal Arts Core Course Requirement. **PSY 400 and PSY 402 are co-requisite courses that are taken together. Psychology is the scientific study of human behavior and mental processes. The Psychology major teaches you how to apply psychological knowledge in a variety of issues encountered in everyday life. You will be better equipped to understand yourself and the world around you through courses that nurture critical thinking and skeptical inquiry. Academic exploration combined with applied learning creates a rich learning experience in the program. You will build a solid foundation in psychological principles and scientific inquiry that will prepare you for a wide variety of careers and/or graduate studies. You must have at least 45 hours of previously earned credit to transfer into a Newberry Online degree-completion program. Have official transcripts sent from all academic institutions from which we will be considering credits for transfer. Review your free credit evaluation and complete your Degree Completion Roadmap with your program advisor so you’ll know exactly where you stand now and what comes next. Call 1.800.845.4955 or email admission@newberry.edu to request more information.